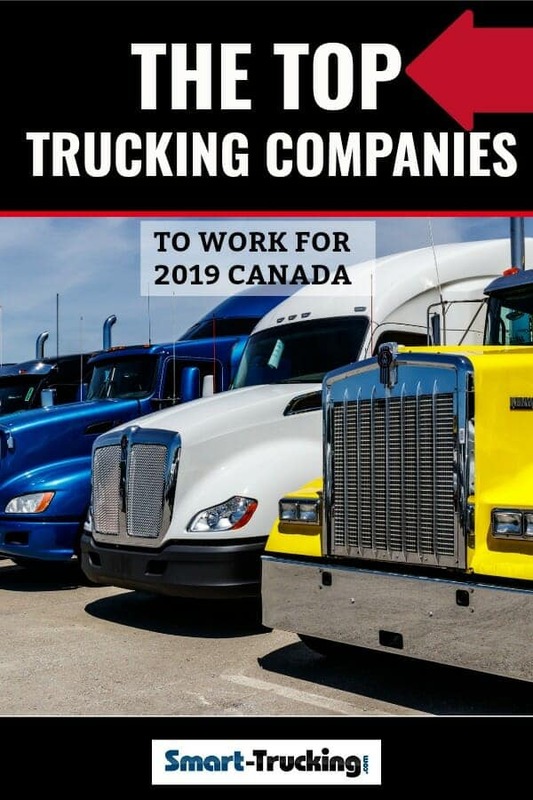 If you are looking for the top trucking companies in Canada to work for, we have some suggestions. As a professional truck driver, you know that not all carriers are created equal. Over the years, we have tracked Canadian carriers. 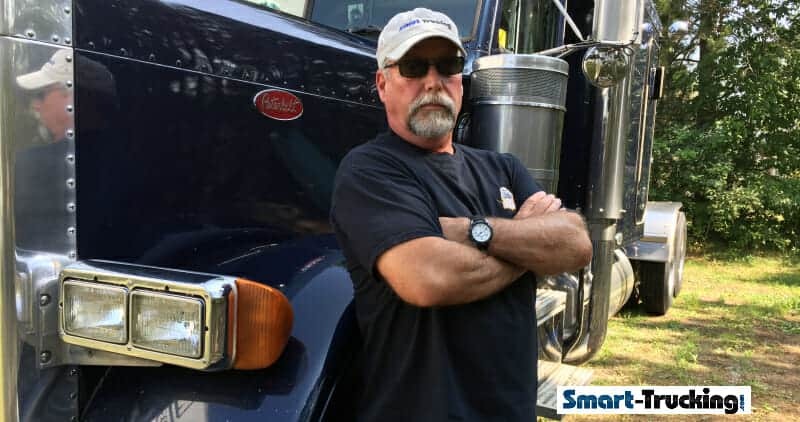 We pay attention to their reputations and successes, but most importantly, have spoken to thousands of truck drivers about their own personal experiences about their truck driving jobs with trucking companies in Canada. 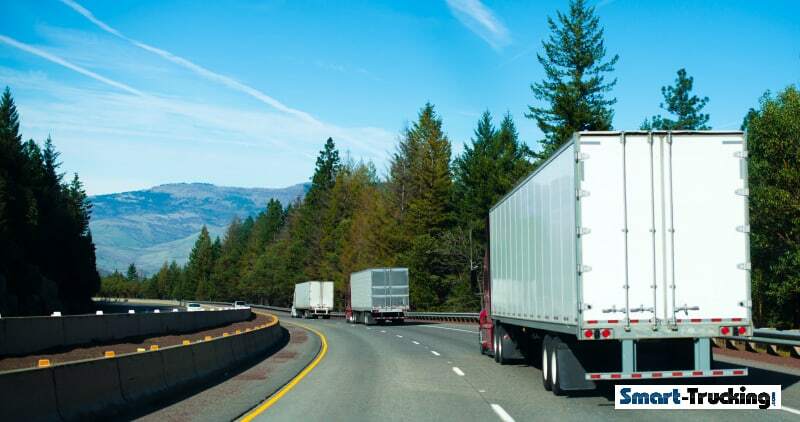 We have curated a list of the Canada top trucking companies from our findings. These are Canadian trucking companies which we feel are worthy of further investigation for a truck driving job. 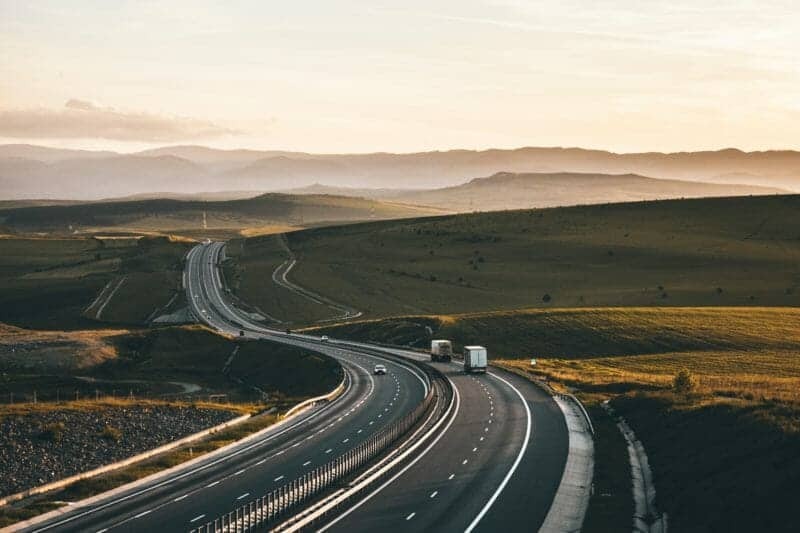 NOTE: If you are a Canadian truck driver, you will have the greatest opportunities to hired by the trucking company of your choice, if you are able to cross the border. Being a F.A.S.T. approved driver in Canada is a great asset. Bison Transport – Bison is a well managed and highly ranked carrier in Canada. Based out of Winnipeg, MB, they also have terminals in Ontario, Quebec, Saskatchewan, B.C., Manitoba and Alberta. They run singles and teams, company drivers and also owner operators. Bison runs all over Canada as well as into some areas in the U.S. They have good equipment and are known for treating their drivers well, as is reflected in their low driver turnover rate. Challenger Motor Freight – They are based out of Cambridge Ontario, with terminals in London, ON, Quebec, B.C., Chicago and Long Beach, CA. They are a well managed company and are involved in a variety of niches: LTL, LCV’S, temperature controlled, flatbed, heavy haul, over-size trucking and run singles and teams. We like the fact they openly quote the average number of miles each division averages on a weekly basis. They also have some driving jobs which pay by the hour. Challenger employs company drivers as well as owner-operators. TFI International – TFI is a publicly traded trucking company in Canada, with multiple yards throughout Canada, the U.S. and Mexico, and based in Montreal, Quebec. They are a large carrier with multiple job opportunities. In business for 60 years, they are known to pay their drivers well, offer attractive bonus programs and benefit packages. They know how to treat their drivers right, both company drivers and owner operators alike. Erb Group – This Canadian carrier, specializes in moving temperature controlled shipments. They are based out of New Hamburg, ON has a total of 10 terminals located in Ontario, Manitoba, Quebec, Pennsylvania. Mullen Trucking Corp. – Mullen is based out of Ardrie, Alberta. They are a large publicly traded carrier specializes in flatbed, oversize, heavy haul, speciality and dry freight trucking. They run in Canada and the U.S. and have a focus on catering to the Canadian oil and natural gas field work. They compensate their drivers well, both company drivers and owner-operators. Trimac Transportation – A tanker and bulk transportation company based out of Western Canada in Calgary, Alberta. They are a large unionized carrier with over 100 terminals throughout the U.S. and Canada. Being a tanker outfit as well as unionized, their pay packages are quite attractive. I worked for Trimac back in the early 80’s and they paid well back then as well. There is one thing that should be noted about Trimac: they tend not to run late model equipment. Special note: Trimac has a CDL Reimbursement Program in the U.S.to reimburse a driver any truck driver training costs from an approved trucking school, if they meet the criteria for the program. Check out their CDL Reimbursement Program here. Maritime Ontario – This large carrier is based out of Brampton Ontario, hiring company drivers and owner operators. They have been around for over 50 years: a well established company specializing in dry freight trucking, temperature controlled moves and sea containers and have terminals in Newfoundland, New Brunswick, Ontario, Nova Scotia, B.C., Alberta and Quebec. They have a solid reputation for low driver turnover. Tim Horton’s – Tim Horton’s fleet has current model equipment, pay their truck drivers well and have yards throughout Canada. Home Hardware – The Home Hardware trucking fleet, out of St. Jacob’s Ontario, has been recognized as a Top Fleet Employer for several consecutive years. Truck driving jobs with good pay and excellent benefits, travelling into destinations in Quebec, Ontario and Manitoba. ** NEW – H. Hardware has opened a new distribution center in Calgary, Alberta, to service the retail stores in Western Canada. Bison –They do run a ‘Driver Finishing Program’, for drivers holding a Class AZ license, with little to no driving experience, which makes Bison an excellent choice for the new professional driver, if qualified for their program. Find out more about Bison. Midland Transport – Midland is temperature controlled and intermodal service carrier, based in Dieppe, New Brunswick running to locations in Canada, and the North East U.S.
H and R Transport – Their head office is located in Calgary Alberta and are mainly a reefer, OTR and intermodal service outfit. They have a wide variety of destinations where they do business, a great perk. A well managed small company, running late model equipment, hiring solo and team drivers, company drivers and owner operators out of B.C., Ontario, Manitoba, Quebec, Saskatchewan and Alberta. Titanium Transportation Group Inc. – Titanium is a well managed medium sized company in Canada, with 5 terminals in Ontario, specializing in dry freight and flat bed trucking. They operate late model equipment. They hire both company drivers as well as owner-operators. WestCan Bulk Transport – In the business for 50 years, this award winning big tanker and flatbed outfit based out of Edmonton, Alberta, knows how to treat their drivers with respect. Driver turnover is known to be low. Schneider – PROGRAM ON HOLD. Schneider out of Puslinch, Ontario offers a paid truck driver training course. However, the program is on hold at this time and not taking applications for enrolment. Do check back here in the future regarding start up time for this professional driver training program. Groupe Robert – Groupe Robert based out of Quebec has a long list of destinations throughout North America. They run nice, late model equipment. They have driving jobs for local work, regional as well as long haul trucking jobs and have a reputation for being a well managed company, which speaks volumes for a carrier which runs to a multitude of destinations in Canada and the U.S.
C.A.T. Inc. – C.A.T. based out of Couteau-De-Lac, Quebec been around for over 40 years in the trucking business. Named as a Canada’s Best Managed Company, they are well known for their low driver turnover. They specialize in general freight moves, with terminals in Quebec, Ontario, North Carolina, Tennessee, Ohio and Texas. They have attractive pay packages and offer some interesting perks to their drivers such as an on the road exercise and health nutrition program. Garry Mercer Trucking – This small carrier based out of Mississauga, Ontario also has a terminal in Rancho Cucumonga, CA. Their destinations include Ontario, Quebec, Eastern Canada and all over the U.S. They specialize in LTL and full load shipments of dry freight commodities. They hire teams, solo drivers, company truck drivers as well as owner-operators. Special note: Although a small carrier relatively speaking, they are well managed and go above and beyond the norm, for their employees.